Electoral Campaigns Don’t Take Us Where We Want to Go. 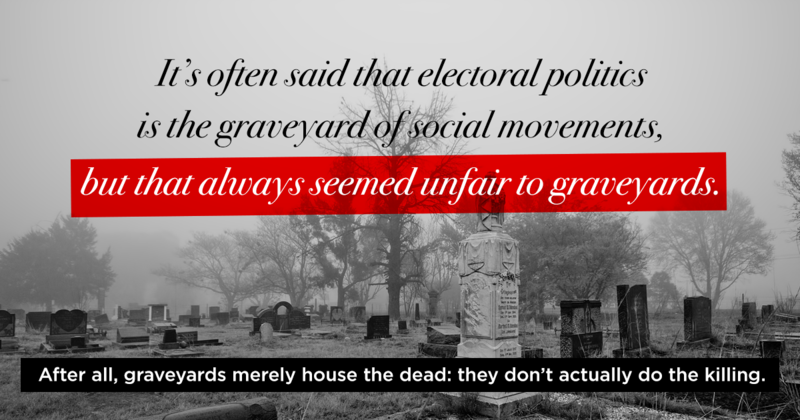 It’s often said that electoral politics is the graveyard of social movements, but that always seemed unfair to graveyards. After all, graveyards merely house the dead: They don’t actually do the killing. Originally published by Truthout. Written by Frank Ascaso, Enrique Guerrero-López, Patrick Berkman and Adam Weaver of the Black Rose Anarchist Federation.